We recently bought a wooden mannequin of the kind that is often on display in artists’ supply shops. We named him Woody. Once at home, we wanted to have Woody do something interesting. So, we decided to make a short video of him doing the Moonwalk. We first took twelve step-by-step photos of Woody dancing. We then made the above stop motion video from those photos. Technically speaking we created an animated GIF file, which as you will soon see is really easy to make. After shooting a sequence of images for your video, you start by using an image editing program to crop all of the photos to the same size while reducing their resolution (each of Woody’s photos in the video are 320 by 220 pixels, approximately 18 KB). Then you simply combine the photos to make the video. In our case, we used Gimp to create the GIF. (Gimp is a free image editing program, which works really well.) In Gimp, you open all of the photos in order “as layers” and then “export as” a GIF file. When doing so, Gimp asks you whether you want to save your GIF file as an animation. You say Yes, and you get your short video. It is easy as that! This is another animation, titled The Muumade March. The images are a bit grainy because the GIF format only allows the use of 255 separate colors. But, given that it is a very easy and child friendly way to make stop motion videos, I think that the somewhat less refined images rather match the charm of the homemade videos. 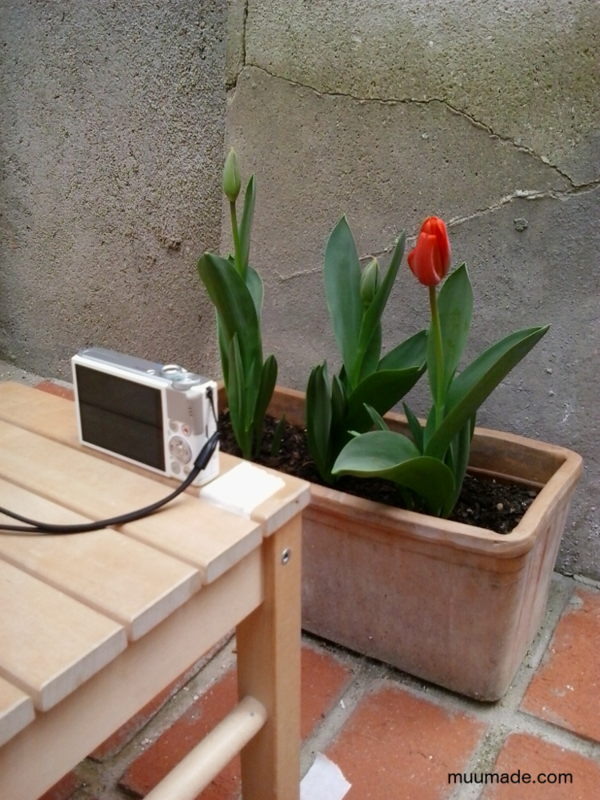 This video of a blossoming tulip was made from seventeen photos taken twice a day over eight consecutive days. When taking the photos, it is important to maintain the same position and zoom of the camera. As shown in the photo above, I marked the position of the chair on the ground as well as that of the camera on the chair with masking tape. If possible, you should also try to maintain the same illumination to prevent flickering in your video. Wouldn’t it be fun to see your child’s favorite toy or stuffed animal in motion? 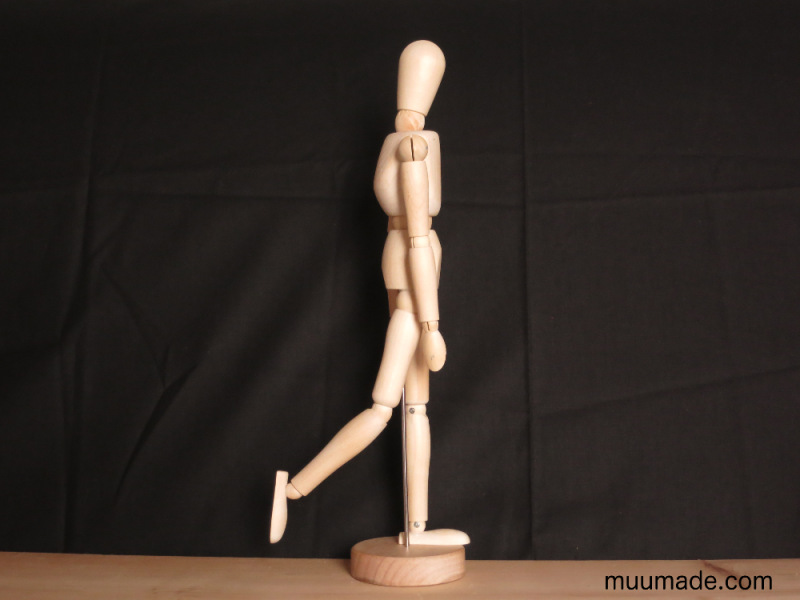 If you make your own stop motion video, feel free to share it in Muumade’s Gallery!